In modern agriculture we are blessed to have a wide variety of equipment and machinery at our disposal. A vital role for us as farmers is to use this equipment which we have access to as best possible. This means that all equipment should be utilised effectively and should make a valuable contribution to the profitability of the farm. In this article I will discuss farm strategies that farmers can implement to make sure that nothing is standing idle. Firstly a farmer should have an accurate itemised inventory of all his or her tools, machinery and equipment on the farm. The inventory should state what the item is and where it is stored on the farm. This is crucial as farmers sometimes tend to use a particular item of equipment for a period and then sets it aside when it is not needed. When that particular item is needed again it cannot be found. Either as it has been misplaced or because it has grown some legs. Being organised is vital to the effective running of the farm yard. A farmer needs to know when he will be using equipment. Before the equipment is put into action the farmer should be able to run through the inventory list in order to make sure that everything is in good working order and functioning well. For example if a farmer is preparing to plant maize he should check his list of equipment required to perform this job. Every item should be thoroughly checked and assessed so that it is ready to be put into action when the time arrives. The equipment on your farm is valuable and needs to be treated with respect and care if you wish for it to last. Anything that moves, turns, rotates and shakes will need to have a good maintenance plan in order to reduce breakdowns and to make it last for a good few seasons. A good practice is to make sure that when you have finished using a piece of equipment at the end of the season, make sure that you service it and check through all the mechanical workings of it before you park it away in its designated storage space. All farm machinery is designed to perform a specific task. It is crucial to make sure that farmers use the correct equipment for its designed purpose. Bear in mind that farming conditions vary from province to province. Some equipment is designed to operate in certain conditions. For example farmers plant maize at different plant populations across the country depending on rainfall. To achieve this they vary their row widths on the maize planter. 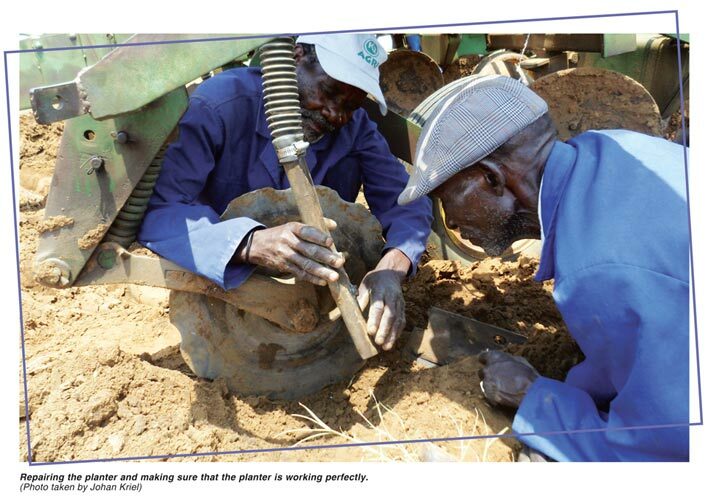 A farmer in KwaZulu-Natal may plant maize with a 76 cm row spacing whereas a farmer in the North West may plant maize with a row width of 7 feet. To achieve this, farmers need to set up their planters for their certain conditions. Farmers also need to make sure that their equipment is practical. Field sizes and shapes also vary across the country. Farmers need to be sure that they purchase equipment which can operate efficiently on the farm. In KwaZulu-Natal lands are commonly contoured and smaller in size whereas lands in the North West are large and flat. 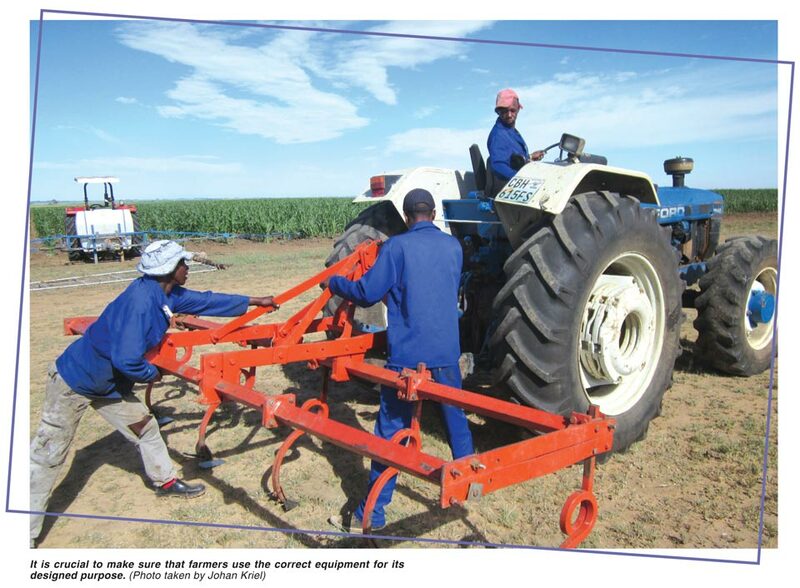 This means that a KwaZulu-Natal farmer will not purchase extremely large and bulky equipment as it would be impractical and awkward to manoeuvre and work with. Finally, every piece of equipment needs to be contributing to the profitability of the farming business. As mentioned before, farming equipment is expensive and should be seen as an investment. When buying a new piece of farming equipment the farmer needs to make careful calculations in order to be sure that it will be able to pay itself off over time as well as improve the overall profitability of the business. Remember that all your farming equipment should play its part in the farming operation. In order for it to do so it needs to be functioning effectively. For it to be functioning effectively you need to manage it effectively. Good mechanical management is essential to a smooth running business.